Orthofeet's orthotic shoes are biomechanically engineered with unique features that are not found in any other shoe! The innovative shoe construction along with the anatomical orthotic insoles have proven to help millions of users improve mobility, enhance comfort from heel to toe, and get relief of heel, foot, knee and lower back pain. Anatomical Orthotic Insole with heel gel pad. Soft, Seam Free Interior, padded with foam. Ortho-Cushion TMSystem & Ergonomic sole. 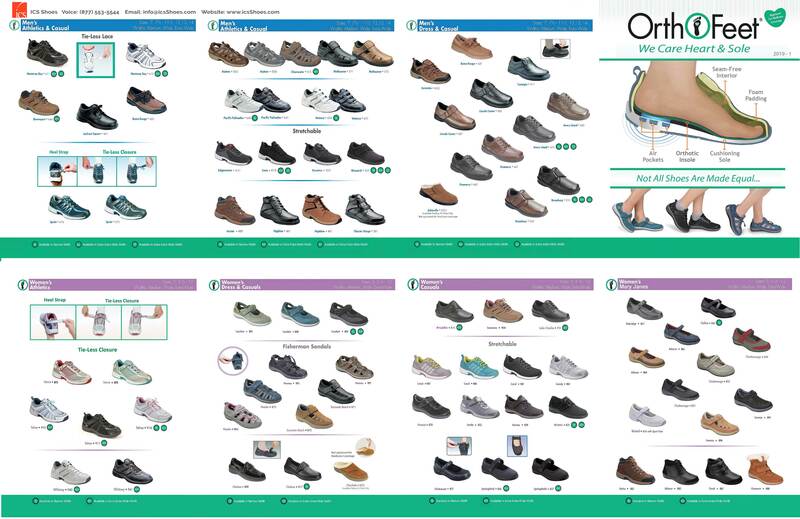 Orthofeet offers unique depth shoes and insoles that comprise innovative comfort features. Orthofeet is the premium brand of specialty footwear bio-mechanically designed to provide you with ultimate mobility, comfort and protection for an improved quality of life.